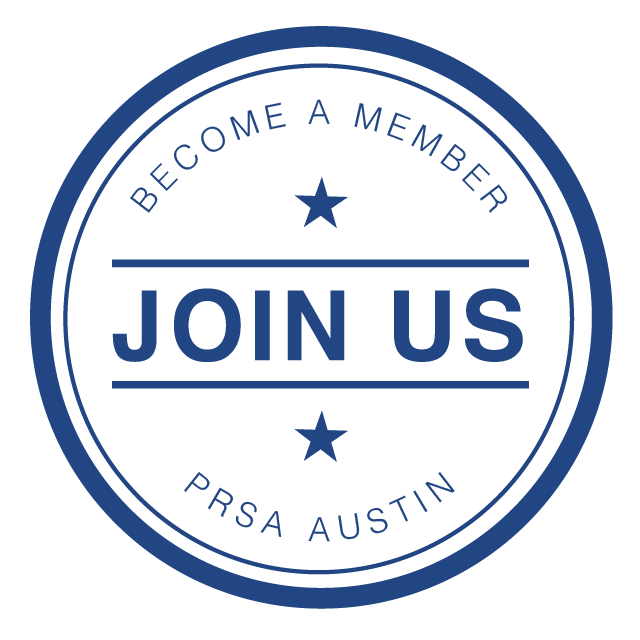 PRSA Austin is committed to ensuring the chapter is a welcoming body and relevant resource for all PR practitioners. The PRSA Austin Diversity and Inclusion Committee supports and identifies the diversity and inclusion needs of PRSA Austin. The PRSA Austin Chapter pledges to weave diversity and inclusion into every aspect of our work, ensuring that diversity is reflected through our programs, leadership and communications structure. PRSA Austin is also committed to taking action to fulfill the goals of promoting diversity and inclusion in our city and in our profession. Both the Austin Board of Directors and the Committee for Diversity exist to align with this greater goal on the local level, reflecting the national effort to extend opportunities in our industry to all people. The PRSA National Diversity and Inclusion Committee has defined its role with regard to diversity and inclusion as follows: To champion diversity of thought, cultures, disciplines, ideals, gender, disabilities, sexual orientation age and veteran’s status in order to develop an inclusive Society. By reaching out to and involving members who represent a broad spectrum of differences, we will encourage and educate others about the benefits of a diverse profession by providing professional development, knowledge and support to help them succeed in public relations.